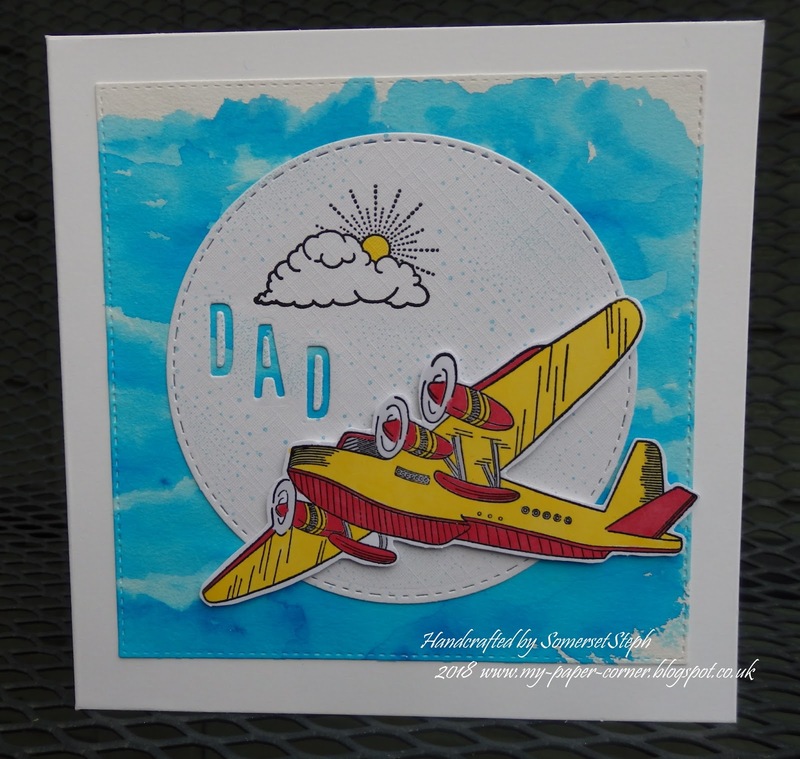 I've taken a different take on "Things with Wings" theme from the current Make My Monday Challenge and made an early Fathers Day card for my Dad using a seaplane stamp. 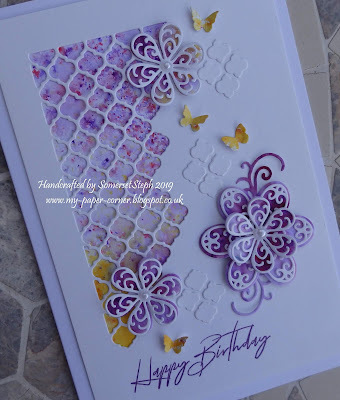 This lovely seaplane was another of the stamps in issue 54 of Creative Stamping Magazine – this time the card design is mine. I used blue brusho crystals and made a watercolour wash background, I'm no expert water colourist so hope this passes as realistic sky/sea. 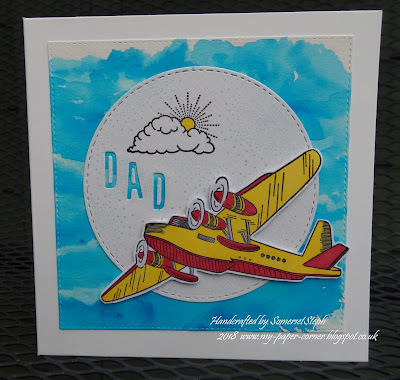 The DAD letters were die cut out of the circle to show the blue behind, added stamped cloud/sun and a dotty textured background. 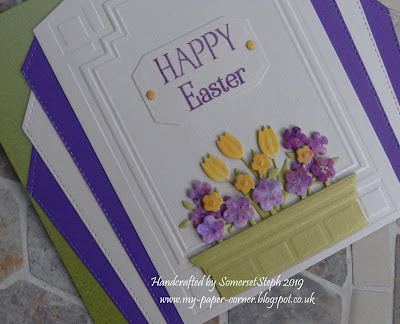 The seaplane is coloured with promarkers and mounted with thin foam pads. So this is my entry for the Make My Monday Challenge a man made mechanical seaplane which has wings! 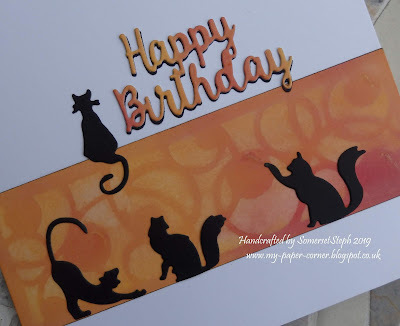 Super card! Thanks for joining us at Make My Monday.